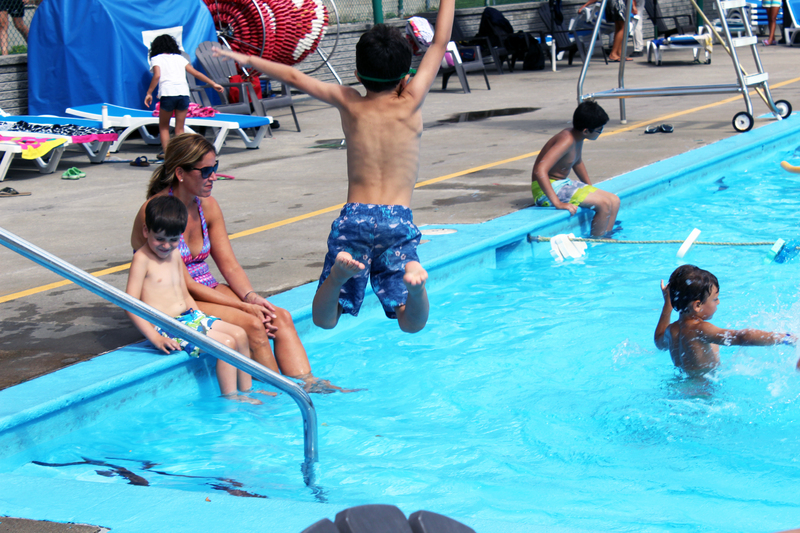 Open from June to September, the outdoor municipal pool, which also has a wading pool, is located behind the Recreation Centre at 1000 Dunkirk Road. 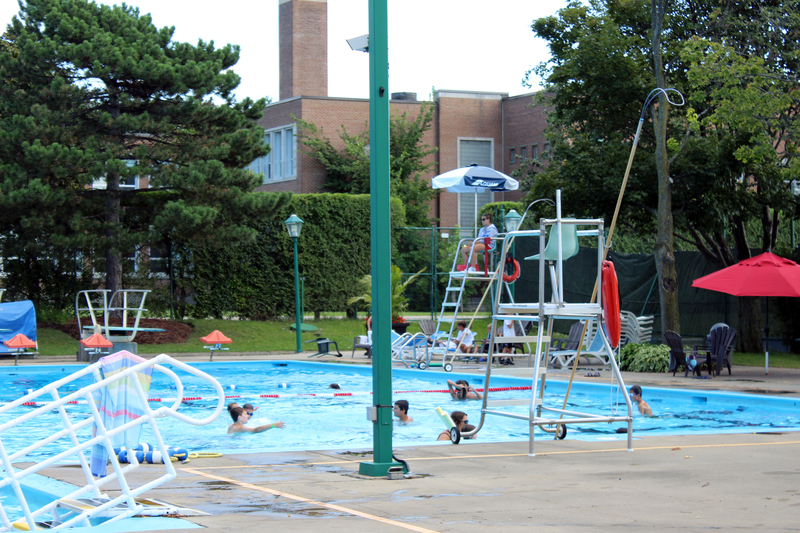 To use the wading pools and take advantage of the daily access fees for residents at the municipal pool, you must have a valid Town of Mount-Royal recreation card. Cards can be purchased at the Recreation Centre, 60 Roosevelt Avenue, on weekdays between 8:30 and 16:15. Without a card, membership fees can be paid directly at the pool on evenings and weekends to get immediate access; however, the recreation card itself will have to be picked up subsequently at the Recreation Centre. 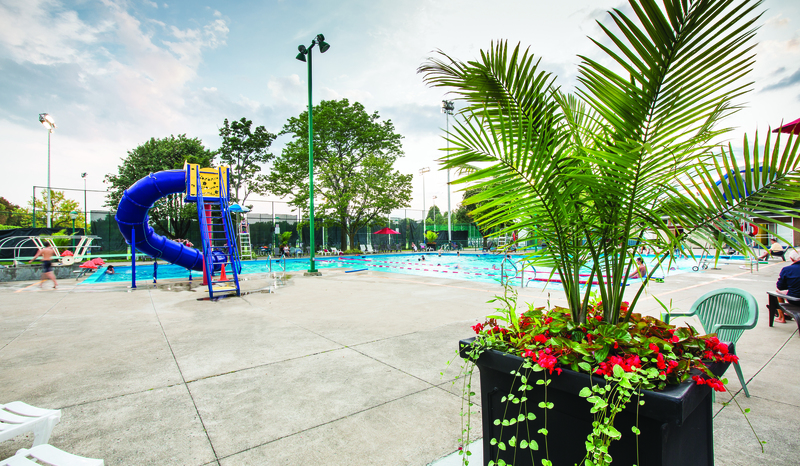 The 2019 pool and wading pool schedule spans from June 3 to September 8. A detailed schedule will be available as of May 21, 2019. Offered only to Mount Royal residents (children as well as adults), private lessons are given every morning between 9:00 and 10:00, during the regular season. The PL Serie will be held on Monday and Thursday, from 17:00 to 17:30. Registrations take place online only, on March 12, 2019, from 18:00 to midnight. For more information, please contact Andréane Bastien, Aquatic Supervisor, by phone at 514 734-2932 or email at andreane.bastien@town.mount-royal.qc.ca. Contact Andréane Bastien, Aquatic Coordinator, by phone at 514-734-2932 or email at andreane.bastien@town.mount-royal.qc.ca. Swimming, diving and aquafitness are all possible during the summer! Discover all the courses offered during the summer period. The Piranhas team is also active during the summer. Check out their aquatic and leaders programs! Besides the wading pool next to the municipal outdoor pool, water games will be found in Mohawk Park, at 1050 Dumfries Road. Note that a Recreation card is necessary to use the wading pools. Want to use the pool all summer long? Think about a season pass! A season pass to the pool (residents and non-residents) can be purchased online or at the Recreation Centre at any time.